Does this scene sound familiar? It’s almost time to perform. Maybe it’s studio class, your jury, an audition, or even your senior recital. Regardless, eyes are staring at you, including your peers. You begin to feel a tug-of-war between conflicting emotions. You’re feeling hopeful that you will give an awesome performance, but also nervous that you may bomb one section in particular. You know the other musicians, your peers, will be silently judging you even though they will appear to be supportive no matter what. You start to play. And as you do, insecurity starts closing in on you, and you begin to question your ability to hit that high note. 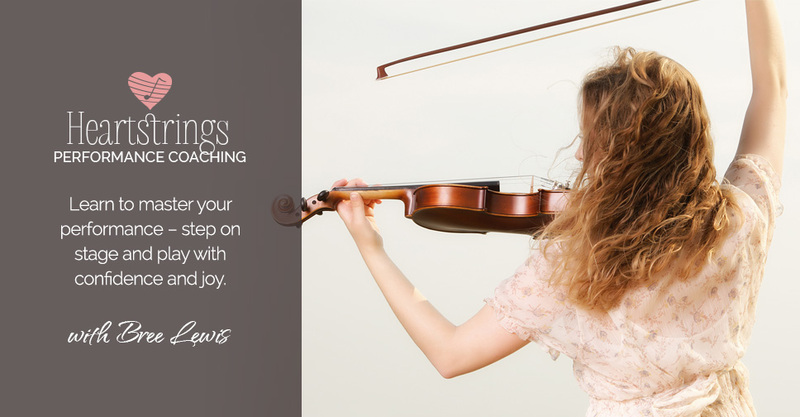 You know you will have to persevere through the song—even if your bow shakes or you clam that high note. You are trying to think positively because you know you have to in order to get through the piece. When you finish, you know you haven’t done your best, but it hurts too much to face it. That was me in college at the Eastman School of Music. I struggled during studio class and recitals. Looking back, I realize I was suffering from a lack of musical self-esteem. I was worried and focused on just about everything–except my playing. The emotions and insecurities became a distraction from my ability to concentrate on playing well. The result? My performances were inconsistent. And afterward, deep down I knew—we all knew—I hadn’t played my best. Trying to cover the pain, I would walk away pretending it didn’t happen. After attaining a psychology degree, I learned that this was a protection mechanism and honestly, we use them each and every day in many areas of life. Soon I realized that performing doesn’t have to be like this! You can learn to master your performance—to perform with confidence—to step on stage and play with confidence and joy just like I have. Now I enjoy every moment of performing—whether it’s in front thousands of people or in an intimate setting. I’ve been trained at some of the best music schools in the country and hold a Masters of Counseling Psychology from Chaminade University. I would love to be the one to help you reach that place of performance bliss, just like I have. I have the training, knowledge, and experience to help you become confident and even enjoy being in the spotlight. Click here to schedule a free 20-minute Skype or phone conversation to see if we would be a good fit. I will listen and provide you a safe place to share your story, your struggles, and your strengths. tools and tips to manage the physical symptoms of nerves including sweaty palms, nervous shakes, shortness of breath, etc. 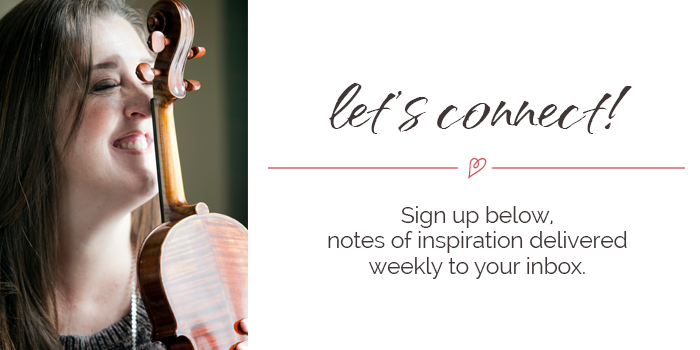 As a bonus, you will be given access to the exclusive Heartstrings Coaching Facebook group. It’s designed just for you, my Heartstrings clients! Four times a year we get together to do an online performance that reinforces the skills you’ve learned and will help you continue to play with confidence and joy. Because we’ve all experienced the same struggles, it is a safe and supportive place to perform. This is a wonderful opportunity to join a community of musicians that grow together as they prepare for recitals and auditions. Want to work with me for just an hour? I’m all yours. We can have a Q and A sesh or you can play a piece or excerpt and we can process and work through the emotions and feelings that occurred while you were playing. I’ll give you some positive and powerful feedback as well as a great pep-talk to get you ready for your next performance. Time for a tune-up? This is a perfectly priced follow-up to the Heartstrings Package.